Cold climates and extreme temperature fluctuations can cause windows to bend, crack, and let in cold air. How can you be sure your windows are built to endure extreme temperatures? 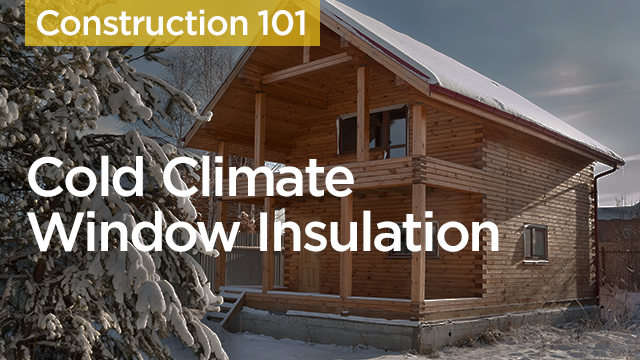 In this course, you will learn how to evaluate the insulation of your windows, the function of various window insulating materials, and which type of window insulation is best suited to your home. Learn precisely how extreme temperatures can impact your windows. Learn how to prevent heat loss and maintain indoor air quality in your home. Become familiar with popular methods and materials for window insulation. Identify which type of window insulation is best suited for your home and climate. How can I keep moisture and ice from forming on my windows in the winter?